A small pattern of quarter sized holes are drilled through the sunken slabs. A mudflow mixture of crushed limestone grout is pumped underneath the panels, once the voids are filled, the pressure of the grout lifts the sunken concrete to its original elevation. The holes are patched flush with the top of the concrete and ready for access! 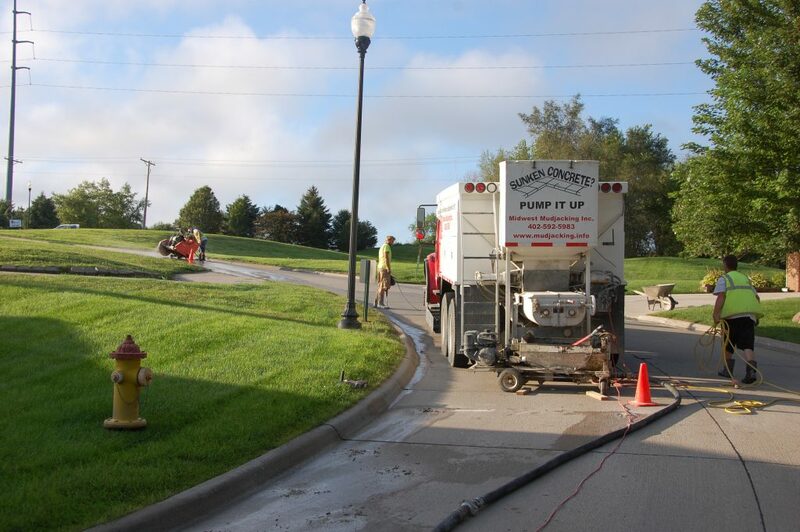 Why Midwest Mudjacking Inc is Omaha’s #1 Choice for concrete lifting! Economical, Mudjacking is the most cost effective! No poly jacking here, polyfoam is much more expensive than traditional grout mud jacking and is not applicable for all projects. Fewer (less than quarter size) holes drilled with our traditional mudjacking injection method. Best optimal control with our precise mudjacking lifting systems, filling caverns/holes completely. Permanent, safe mudjacking material is superior and most preferred for most applications. Strongest strength grout evenly adds support and will not break down with movement or deflection. 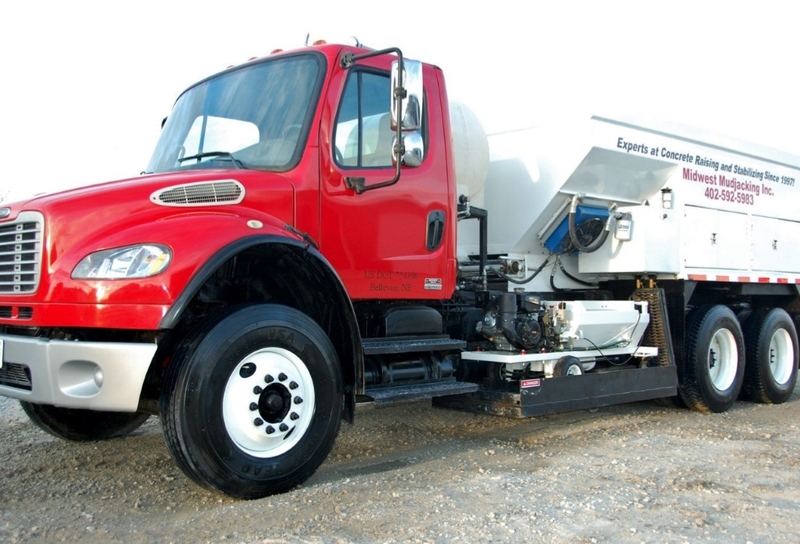 Proven original mudjacking method over 70yrs, offering newest innovative concrete leveling technology. Fastest, quickest controlled mudjacking techniques, can be used immediately after re supported. 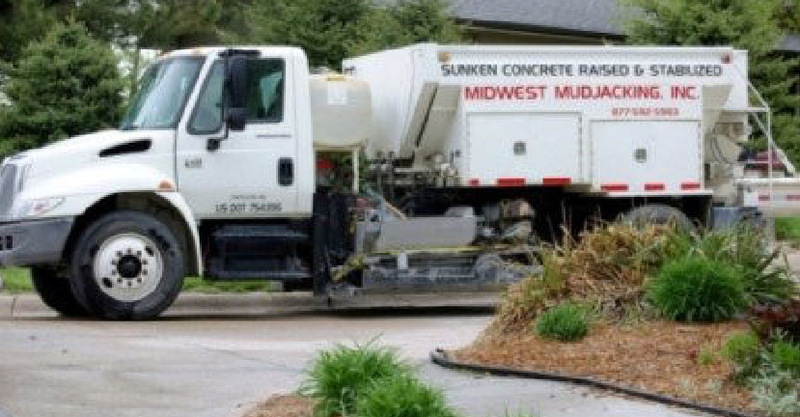 Largest Mudjacking company in the Midwest! Unmatched guarantee on all concrete! Only Company Capable of Handling Any Size Void! 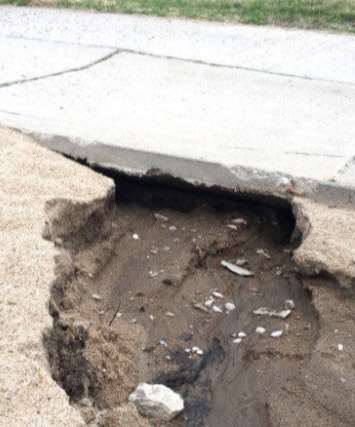 Mud jacking - Otherwise known as slabjacking is a specialized concrete repair technology, lifting and stabilizing concrete. Traditional mud jacking is a proven controlled method of hydraulically raising misaligned and stabilizing concrete slabs. 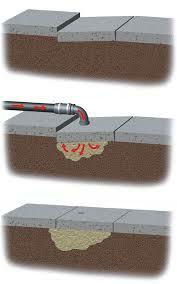 As with any process, injection material relies on the underlying subsoil, which has settled or undermined. By injecting material under a lower level panel, the uneven sections that are sunken can be restored, straightening and readjusting to align back to their original position. Midwest Mudjacking Inc. is the largest mudjacking company in the mid west! We have proudly been mudjacking Omaha and surrounding areas since 1997! 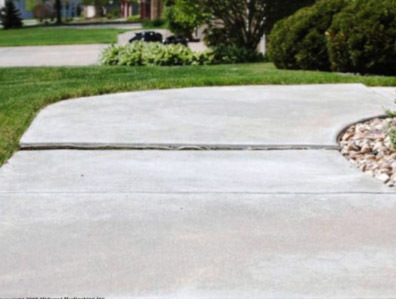 Our superior concrete raising methods continue to lead the industry for almost two decades! 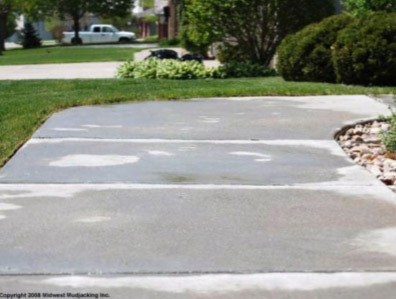 Let our pros assist with your sinking or voided concrete needs. We offer perfected concrete lifting systems that have the ability to properly control the movement of the panels, delivering the best optimal alignment results! 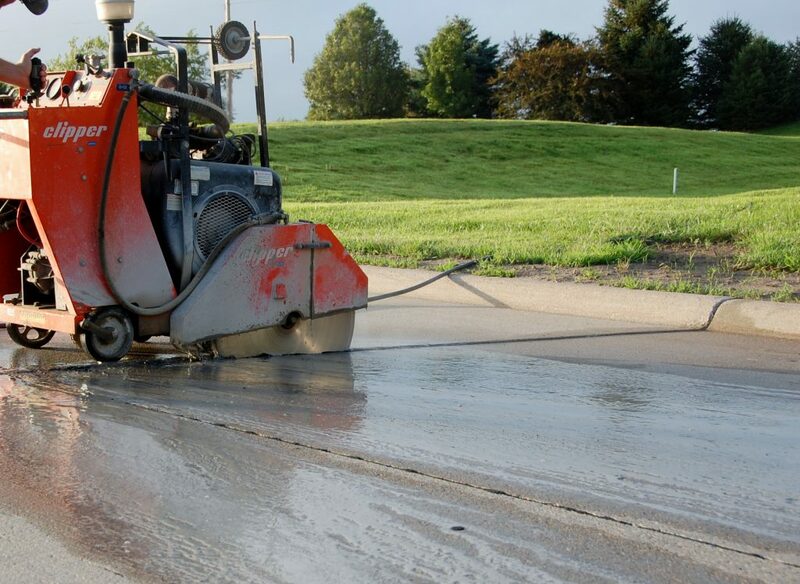 The stabile rock grout material we inject, thoroughly fills the cavity or voids, adding new support and stability beneath the hollowed concrete. Our process is quick and efficient, allowing us to pass the savings on to you!